Supplying your home or office with refreshing filtered bottled water is a choice that people are making every day. The quality of water dispensed from the in home or break room water coolers is vastly superior to what flows from your tap, offering great flavor and quality you can both see and taste. While office water coolers seem to fit within the break room decor and environment, some people shy away from the idea having one in their kitchen. There is the mistaken thought that all water coolers, crocks and stands have that uniform office look, but the water coolers of today are much sleeker and more stylish than in years past. 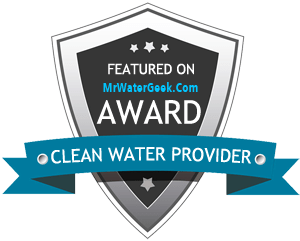 When you begin your home or business water delivery service you will have a number of customization options to tailor make your service work best for your situation. Choosing what style of water coolers works best for your unique situation is one of the first decisions for you to make. There are water coolers, crocks and stands that utilize jugs of bottled water, reverse osmosis filtration systems, as well as point of use water filtration systems. Each of these have their advantages and drawbacks, so make sure to educate yourself on the differences before making your choice. Bottled water coolers and stands have not changed a great deal in basic design over the years. They continue to have the same sturdy base, one or two nozzles for water dispensation and that unmistakeable water jug at the top. The newest models now feature sleeker bases and a more streamlined look that will better compliment the decor around them. If you want to avoid the hassles associated with lifting, changing and storing filtered bottled water coolers without giving up that refreshing pure taste in your office, a point of use water filtration system may be right for you. These use cutting edge water filtration technology to filter and purify your water right at the source. No lifting 40 pound bottles every time the water cooler runs out, finding space to store your extra bottles and billing is a breeze. No matter how much water your office uses in a billing cycle the invoice remains the same. It’s delicious water with virtually no worry or hassle! This brief rundown only scratches the surface of your options of different water coolers. For more information on setting up your service or the differences in water coolers and different filtration systems, contact Clearly Colorado today!